Tyler Anderson is a social media marketing entrepreneur, speaker, and host of the Social Media Social Hour Podcast. Tyler is the founder and CEO of Casual Friday and the creator of Scoreboard Social, a social media reporting and competitive analytics tool for Facebook, Twitter, and Instagram. Tyler also is the host/organizer of Social Media Day San Diego. What's the big idea "and why is it important for companies to have one in order to effectively reach their audience? The Big Idea is making a commitment to solve the problems of your target audience. With all content marketing efforts, this should really be your focus. What content are you creating that is answering customer questions, helping your customers, or educating your customers? It’s so critical to nail this because if you don’t, you’re just creating noise and distracting from providing solutions to your target audience. When you solve your customers' problems, it’s a win-win. A win for your customer, and a win for your business. What, to you, is social media success? Social media success can obviously vary from business to business. It all comes down to starting out by identifying your goals. From there you can then set a social media strategy that aligns with your overall business goals and objectives. That said, success in social media for a business is a combination between social care and sales. Yes, we want to leverage social media to drive sales, but we also have to remember a lot of our customers are using social media to talk about our products and services already. We also need to be there and respond to them in a timely manner. What's the secret formula for making a social post go viral? There is no secret formula for making a post go viral. Predicting a viral post or video is virtually impossible. That said, if you create content that is entertaining, educational, helpful and solves peoples problems, you’re off to a good start. Who are your biggest Social Media influencers? Tough question, there are so many. I would have to say it all started with Chris Brogan. I first started reading his blog back in 2008 and he is who I really looked to back in the early days of when I started Casual Fridays. Others that have become good friends of mine and that I really respect in the industry would be Mari Smith, Michael Stelzner, Jon Loomer, Mike Gingerich, Ian Cleary, Sue Zimmerman, and Jason Keath. In five words or less, what is social media? Tyler Anderson is a social media marketing entrepreneur, speaker, and host of the Social Media Social Hour Podcast. 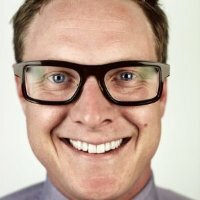 Tyler is the founder and CEO of Casual Fridays, a social media marketing agencyheadquartered in San Diego, California, with offices in Atlanta, Georgia and New Orleans, Lousiana. Casual Fridays is also the creators of Scoreboard Social, a social media reporting and competitive analytics tool for Facebook, Twitter, and Instagram. Tyler also is the host/organizer of Social Media Day San Diego, which was an officially proclaimed day by the city of San Diego in 2012.